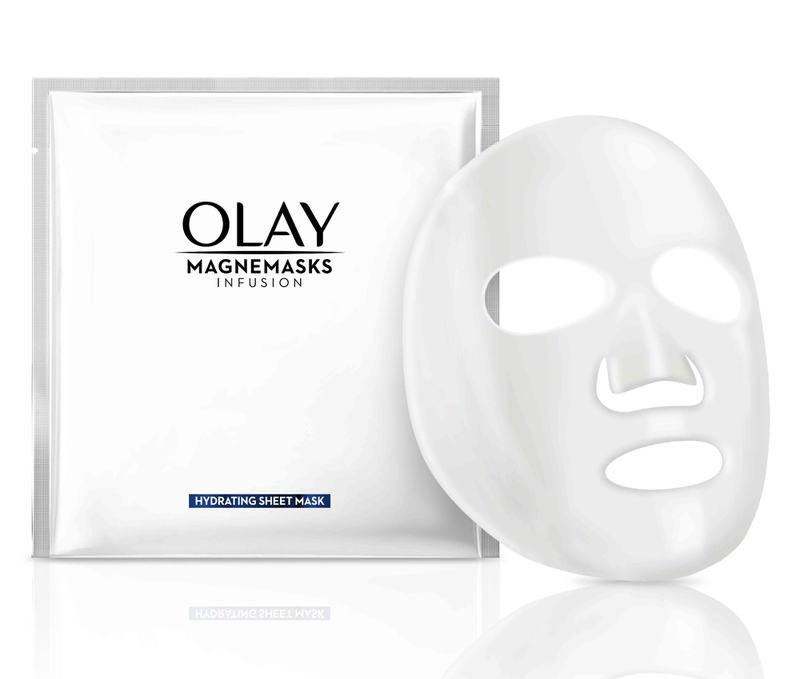 Olay Magnemask Hydrating Sheet Mask is a hydrating sheet mask that helps reveal younger looking skin. Together with the Magnetic Infuser, it provides skin with an intense boost of concentrated ingredients that work to lock in maximum moisturise to reveal younger looking skin and up to 24 hours of hydration. Continued usage is the perfect balance between facial spa visits and provides a rejuvenation experience with spa-like results. I commenced this trial with the sheet mask (alternating with the jar mask). Within one use there was a noticeable difference in my skin. The dry patch I had on my nose (that would not go away, regardless of what I used) vanished! My skin looks softer, more hydrated and fresh. The sheet mask is also very easy to use and apply, I find it doesn't cling to itself much. It also has flaps for where the eyes are, again making it easier to apply custom for your face. Like the jar mask, the sheet mask is coated in thick, white cream. The sheet mask leaves residue behind on the skin, I massaged this into my skin using the magnet provided. I thought there would be some kind of sensation from the magnet, but there was none at all. As for scent, I could not smell anything noticable. I do have sensitive skin and I found this product did not irritate, cause breakouts or redness. Thank you Beautyheaven for giving me the opportunity to trial Olay Magnemask Hydrating Sheet Mask. The box is metallic gold and comes with 5 individually wrapped masks. I used it twice a week for the past two and a half weeks. The mask is very easy to use, it is of a cloth texture and it fits nicely to the face. The smell is nice as well. I used the mask after cleansing, toning and moisturising for the best results. I leave in on the skin for 15 minutes and after removing it I leave my skin to dry for few minutes. The mask absorbs really well and my skin is left smooth, soft and hydrated. After few uses I have noticed that the mask smoothen out few small wrinkles that I had on my forehead. I really like this product and I will definitely repurchase and add to my skincare routine. The olay magnemask hydrating sheet mask comes in shiny packaging. There are 5 sheet masks in the box, individually packed. On opening the mask sachet, the mask itself is white and taking it out and opening it up is a messy job, as the mask is covered in the product. Applying the mask is easy as it stretches to fit the face and has holes for eyes, nose and mouth. Leaving the mask on for 15 minutes, then after taking it off skin instantly feels moisturised and fresh. However there is plenty of product still left on the mask and is such a waste throwing it away. I massaged my skin with the magnemask massager to help with better absorption of the product. The massager is a really nice tool as it feels cool on the skin and enhances the circulation as well. The product does take a long time to completely absorb into skin. The whole process took me about 30 min, which is too much time. I preferred the magnemask jar mask as I can control the amount of product I use. Overall the skin feels and looks revitalised and hydrated. Applying the mask sheet can be a bit messy. If you have enough time to wait for the product to absorb. I was fortunate to be included as part of the OLAY MAGNEMASK INFUSION HYDRATING JAR MASK STARTER KIT & MAGNEMASK HYDRATING SHEET MASK' TRIAL and was definitely mixed. I already left my review for the jar mask but I used the sheet mask and absolutely love it. It was a thick mask (so no flimsy tissue-thin masks) with loads of cuts around so it makes it easy to fit your face without parts hanging off all over the place. The content was a white paste (similar to the jar contents) and it was thick, velvety smooth and after leaving it on my face, I followed it with the magnet and felt it was nothing special. However I used this when I was traveling and I love it - the packaging is small and easy to pack and super hydrating when my skin gets sucked dry from all the airplane air. I recommend you use this without the magnetic as the plastic contraption is useless. However on it's own, it is the bomb! Thank you Olay and bh for this trial opportunity. I thoroughly enjoyed using the Olay Magnemask Hydrating Sheet Mask. I want to note that I also received the Infusion Hydrating Jar Mask Starter Kit so I used these masks in combination with each other in the trial over a few weeks. It is a luxurious sheet mask which to my surprise was well soaked with a beautiful smelling creamy substance. I did find the sheet to be quite thick though and after about 5 minutes, it did start to shift around. I usually use thinner sheet masks which have better staying power so this lost a star for me. The one thing that I love about this mask is that it is used as the last step of my skincare routine. Traditional sheet masks are used as the first step and I typically forget and go straight to using my serum and moisturiser. However, the Olay sheet mask makes things much more simple for me and I never forget. As per the instructions, I used the sheet mask twice per week. I leave it on for 15 minutes and no need to rinse off - another positive! Results wise, I have noticed a difference in my skin’s hydration levels - I feel my skin has more plumpness and some dry spots have reduced. Overall, I enjoyed using the hydrating sheet mask and will likely purchase again. There are 5 masks in the box, each mask is individually sealed. This is excellent for travel or home use. When I pulled the mask out of the packet it was drenched in serum which is a good sign. I found the mask to be a fairly good fit and did not slip off my face and a couple of minutes. I always leave my mask on for longer than the recommended time because I want to get everything into my skin!. I would often take the mask off just before it dries up and apply the remaining serum from the pack onto my face, neck and décolletage. I found my face to feel plump, smooth and well hydrated, the serum itself is fragrant but not over bearing. I typically mask once per week and found this range to be a better mask than some. I personally think this is a fairly good mask and will continue to use it. Firstly a big thank you to beautyheaven and olay for the opportunity to trial these exciting new products. For the purpose of the transparency of this review, it is worth pointing out the results are from using the sheet masks and the infuser starter kit with the face mask in the jar in conjunction. I firstly used one of the sheet mask (used before the jar) - pulling it out of the packaging, they are soaked with serum and are quite thick. However I personally am less of a fan of the thickness of the compared to other sheet masks and felt it wasnt as seamless for sitting on the face. They have pleasant nice scent. My results were mixed. It provided great hydration, however the next day I had a giant pimple! And I am not someone who ever really gets pimples. On my second try as well, I had another one! I found it settled down quickly and I continued to use them, but don't think I will rebuy given they made me break out! Overall, hydrating masks, however nothing wow about it for me. Hence the 3 stars. Although I have some doubts about some of the claims associated with this mask, it’s one of the nicer sheet masks I’ve used. The serum/ moisturising substance is quite thick, which means the mask stays on your face far more effectively than many other sheet masks. Once you have it placed, it doesn’t slide off easily. I also enjoyed the feel of it; closer to spreading a luxurious moisturiser over your face than slapping something cold and clammy on it. After using the masks several times over a few weeks, I’d say they’re definitely making a difference to the overall hydration of my skin, and possibly to the texture as well. For all these reasons, I expect to be purchasing and using these masks again. However, I doubt that massaging the excess in with the magnetic thingy actually has any effectiveness – it’s not consistent with my understanding of the science. You’d do just as well using your fingers. People who like to move around a bit with a mask on, and don't want it slipping off. I trialled the Olay Magnemask Hydrating Sheet Masks and loved them! These masks come in a pack of 5 individual sachets, which are filled with serum. When initially putting this on, I got the usual cold sensation you do when applying all facial masks, but found that after application, my skin was noticeably smother and hydrated. I also love how each individual sachet have a generous amount of serum within it, so there is plenty to apply even after you remove the mask. I also really liked the scent of this product, and found the mask easy to apply. In relation to the price, I don't know if I would apply this twice a week as recommended; as it might be a bit of a costly exercise, and perhaps a bit excessive. In summary I would recommend this product for anyone who is looking for an effective facial mask which leaves your skin feeling moisturised and soft after application. really love using masks, so the fact that Olay was including a hydration infused mask with the hydrating cream and magnetic applicator, thrilled me! The five mask that comes individually packed, in a chic silver box. When you tare open one of the individually packed mask, you can see that the mask is soaking in like a whiteish coloured cream, the mask itself is a plain white mask too. To use the mask you do have to unfold it and stretch it for it to cover the whole face, just like with any other mask. I have used the mask less frequently because I wanted to make the five masks last a while. But when I do use it, I team it up with the Olay hydrating face cream. After using the mask for the recommended 15 minutes, instead of wiping away any residue, I go ahead and use the cream and work in any of the residue left behind by the mask and the cream into the skin. This way I feel like I am getting the full benefit of the mask and the cream. My skin always feels super hydrated the next morning, so I think I will continue to use it this way. Can be used by itself, but team it up with the Olay hydrating cream for maximal benefit. Anyone looking for an extra boost of hydration for the face. The hydrating sheet masks packet contains five masks which means it will last longer than a packet with only one – a bonus in my opinion! For this trial I was asked to apply the sheet mask twice a week – although again the suggested usage on the packaging was for 3-4 times/week depending on how your skin feels. Like the starter kit, the product was beautiful to use – light, soft and gentle on the skin. Having only used a sheet mask once before, I was a bit hesitant, thinking it would slide off my face, but it stayed put once I had put it in place. I didn’t even have to lie down! My skin has felt wonderfully hydrated since using the sheet masks and I would have no hesitation in using them again. Using the magnet to infuse the cream deeper into the skin is great – you can feel it sinking in! I didn’t have any sensitivities from using the product either, unlike the starter kit. These sheet masks are a fabulous addition to anyone with dry or dehydrated skin wanting to boost their skin with extra hydration. I can highly recommend them! I trialled the Olay Magnemask Hydrating Sheet Mask together with the Olay Magnemask Infusion Hydrating Jar Mask Starter Kit. Thanks Beauty Heaven! I used it every two days. The pack contains 5 hydrating sheet masks. The sheet needs to be applied over the face, fully covering it. You gently press the mask for a good fit especially over nose and mouth. Then put your feet up and relax for 15 minutes! When done, remove and use Olay Magnetic Infuser to massage face and encourage absorption. The mask can be used daily. The sheets have a very pleasant smell and are easy to use which is a bonus. I found there was some excess left after removal of the sheet as they are very generous. This product should be used in conjunction with The Olay Magnemask Infusion Hydrating Jar Mask Starter Kit and the two products are amazing. A real plus for me was the fit of these masks. As a regular mask user of many years, I note that there are comfortable and uncomfortable masks especially so in the sheet type of mask. I found the flexible material in these particular masks make them the perfect fit. I just had to position the mask in place and it stayed put. I loved using the sheets and found my skin was left feeling beautifully hydrated and smooth after use.  They were very gentle on my sensitive skin and reduced redness was a bonus I had not expected. Fine lines and wrinkles were visibly reduced. The Hydrating Sheet Mask is a light weight product that does not leave skin feeling tacky and any residue is easily wiped away, although it just made sense to me to apply this to my neck area, since there was quite a bit left and it would be a sin to waste it! I can honestly say that with regular use, my skin has not looked or felt so good in a long time. I was left with healthy, radiant skin. I would highly recommend this product and will certainly purchase in the future. Use in conjunction with Olay Magnemask Infusion Hydrating Starter Kit for best results. I recently bought this during a 50% sale at Priceline. I have dry skin so I decided to go with this mask rather than the rejuvenating mask. It comes in a box with five individually packaged masks. The mask is easy to open and it fits well on my face. Also, there is quite a bit of serum in the package. The instructions recommend 15 minutes for this mask, but I leave it on for around 30 minutes and relax. After removing the mask, I pat the excess serum into my face with my fingers. I did not purchase the magnetic infuser. Also, I keep the excess serum in the package to use at another time. This mask lives up to its claims about being incredibly hydrating. My skin felt very smooth the next day and I literally glowed. I will definitely be repurchasing this mask because Olay claims this mask has 1/3 of the amount of actives in a jar of Regenrist moisturiser. I have had good results using the Regenerist line; thus, I have high expectations for this mask with continuous use. I highly recommend, especially at half off, it works out to be $3 a mask. That’s very cheap for something so potent. Keep on for as long as you like. I nabbed myself one of these at the Vogue Night Out and my my this is a moisturizing treatment to the max! When I opened the packet, the mask was totally drenched in product. It is so creamy and silky and an absolute dream to put on. After 20 minutes you'll feel like you'll never need to moisturise for another year! It makes your skin feel so smooooooth. I had still had heaps of products so I also wiped it around the rest of my body.